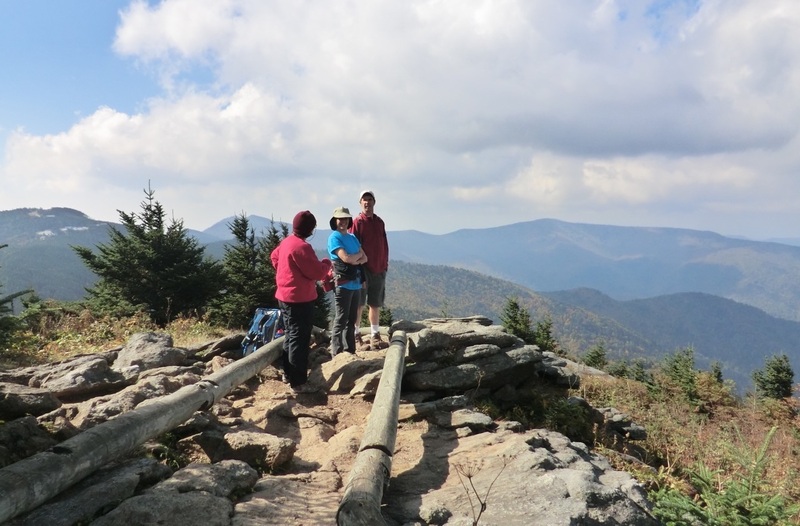 The N.C. High Peaks Trail Association will lead one of its most challenging – and rewarding – hikes of the year when the club takes on the Black Mountain Crest Trail on Saturday, Oct. 13, at the peak of the high elevation leaf color season. The outing will be followed by a pot luck supper in the Cattail Community. The 8-mile jaunt will begin at Mt. Mitchell, proceed to Deep Gap and then descend steeply to the Cattail Community. Only seasoned hikers should consider joining because the trek includes several steep climbs, a bit of scrambling down rock faces that requires the use of hand ropes and an overall descent of over 3,000-foot, which is tough on the knees. Hikers should assemble at the Cattail Community Center at 8:30 a.m. and will be ferried to Mt. Mitchell aboard a Yancey County Transportation van for a donation of $5 per person. Pets are not allowed on the vans, so if you want to bring your leashed dog you must arrange your own car shuttle. Van reservations are required by Thursday evening October 11. If you are uncertain whether you can do this hike contact the hike leader to discuss your level of fitness and experience. Hikers must be able to keep up with the group. Hike leader John Whitehouse can be reached at 828-682-3217 or trails@nchighpeaks.org. As always, check the High Peaks website, www.nchighpeaks.org, or Facebook page for last-minute changes due to weather. Photo Info: Hikers will get views like this from Mt. Craig on the Oct. 13 High Peaks hike along the Black Mountain Crest Trail.